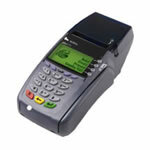 Any business that accepts credit cards must have a merchant account set up with a credit card processing company. There are a number of ways to set up merchant accounts in order to begin accepting credit cards from your customers. If the nature of your business is to swipe a customers credit card and the card is presented to you by the customer than you are going to want to set up a retail account. Rates are lower due to the fact that the card is swiped through a machine that can read the magnetic strip. Internet accounts are set up for companies that accept credit cards directly through their website. In order to process cards directly through a website you need to have a shopping cart, an internet gateway and a merchant account all in place. Our highly trained staff can assist and recommed the Best Solutions for your company depending on how you are going to accept credit cards. We can also set up and help support the best solution for your business to maximize the lowest possible rates that you pay depending on the nature of your business.